In-depth analyze of a time-lapse ISS video shows many UFOs flying above Earth’s atmosphere. An ISS time-lapse video, (Photos from Gateway to Astronaut Photography of Earth and taken with the HD cameras on board of the ISS) made by AstronautiCast, the Italian Space and Astronautics Association (ISAA) shows beautiful images of space and earth, including a double USA night pass. But the unknown objects flying through space is the most interested part of the video. 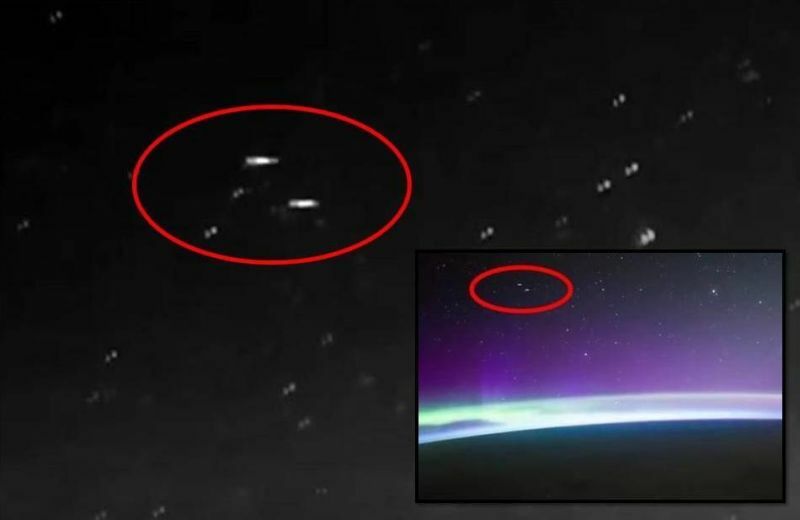 UFOvni2012 has analyzed the space in the background of the time-lapse video, changed the color into black and white, zoomed in and discovered many objects flying in all directions through space. UFOvni2012 video proofs that NASA not provides us the HD quality but shows the public via their ISS live feed a standard view with a much lower quality, less colors and a complete (manipulated) Black Space without stars which makes it clear again that NASA continues to keep the public away from what is really going on in space. Below two videos and compare the real view of the HD cams with the view which we see in the ISS live feed (Second video ISS live feed: From 1.47 to 2.05 and from 2.22 to 3.20 Mark). The third video made by UFOvni2012 shows the many objects in space.